Alex is a Development Team Lead at Enlighten Designs in Hamilton. 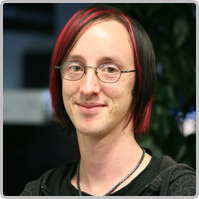 His main role is leading a development team in developing software for the web. His team also develop products for businesses with Microsoft SharePoint and Project. Alex has been with Enlighten for 4 years and develops software for clients on Android, iOS and the web. In the past, Alex has spoken at SharePoint User Group and NZ SharePoint Conference. He enjoys photography, mobile development and perusing the internet.